Find a local number in any area code throughout the US & Canada. Who should get a virtual phone number? What are the different types of virtual number service providers? Why does your business need a local virtual number? 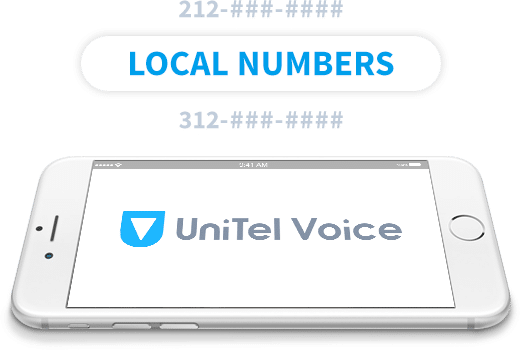 How do virtual local numbers work with UniTel Voice? Where can you get local number? For some startups and small businesses they may already have a local number but as they grow they need more flexibility and features than their current phone service provider offers. There’s where UniTel Voice comes in. We can take your current local number and turn it into a virtual local number with all the power of our virtual office phone system. A virtual phone number with a local area code in the city or town you do business in gives you a local presence. 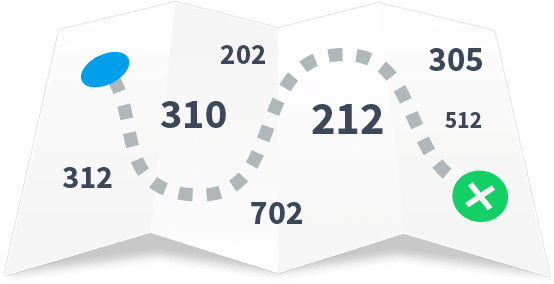 Virtual local numbers also allow you to track ROI by tracking the calls received from each number used various locations advertised in various ways. A virtual number can give each franchise a professional local presence and a turnkey virtual phone system that’s easy to set up and flexible enough to allow franchise owners to run their business from their cell phones. You can also use virtual numbers to centralize your operations by having one call center for all of your difference franchises across the country. If you’re local business that serves a local area without a physical location that customers visit (e.g., plumber, food truck, landscaping business, etc. ), you might consider using a local virtual number so give your business a local presence yet have the flexibility to use your number with any phone or phone system. Much like local brick and mortar businesses, home-based business owners want to project a professional image and make customers feel like they are dealing with an established business. Using one or more local virtual numbers in the communities in which you serve, can not only give you a local presence, it can help home-based businesses look and sound more professional. Vanity number brokers help businesses secure hard-to-find custom local numbers and other vanity numbers in any local area code. Typically, you would purchase a vanity local number for a one-time fee ranging from $50 – $10,000 (or more) and then transfer the vanity number to a phone service provider of your choice. Finding a good custom vanity number that’s available for purchase is akin to finding and buying the perfect domain name for your business. 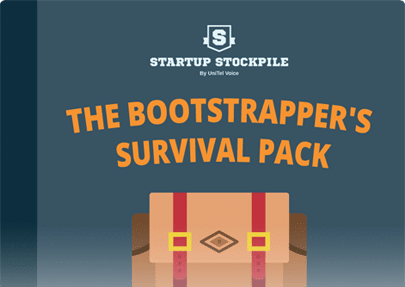 The fact is, there’s a limited supply available and oftentimes another business has already beaten you to the punch. This type of phone service is also done with toll free numbers as well. Virtual phone system providers (like UniTel Voice) allow small business owners and entrepreneurs to run their business using cell phones and still have all the power of a professional business telephone system. It’s essentially a business phone system with a virtual PBX that works with your existing phones (cell, home, or office). You can choose to use a toll free or local number as your main business phone number, when your customers call your business line they are greeted and routed to the proper extension, phone, or voicemail. A full business voiceover IP solution offers customers physical IP-phones and computer-based soft-phones that uses your local internet service to make and receive calls. The big difference between a virtual phone system and a full VoIP solutions is virtual phone systems work with your existing phones (usually cell phones) and have per minute pricing, whereas full business VoIP requires equipment (IP-phones, special routers, and high speed internet) to work and are priced per user. SIP trunks are telephone line “trunks” delivered over IP using the SIP protocol. This allows VoIP telecom providers to connect one or more local number lines to a customer’s existing PBX. SIP trunking a DID number is typically cheaper than simply forwarding a local number to your existing telephone lines. That’s why most high call volume call centers use SIP trunk toll free service. SIP trunking also allows for international call forwarding because it’s internet-based. Traditional local number service was provided over the old Public Switched Telephone Network (PSTN), with its Analog, ISDN BRI, E1 or t1 lines. Although this local service is still offered by many telecom carriers it mostly being phased out by the much more modern, flexible and affordable SIP trunk services. And we mention it because you can actually take your current local number you have with your current local phone number and port it to UniTel Voice and thus turn it into a virtual phone number – saving you money and giving you more flexibility and features. Having a local phone number in the community in which you do business gives you a local presence – even if your business is headquartered elsewhere. You could use a local business number in each city in which you sell services and save money by using a one centralized call center or even home office (in the case of many startups) that handles sales or support calls. A virtual business number is not just a phone number. It’s a phone number enhanced with features that give callers the impression that they are calling a business with a professional virtual phone system – not just a random guy’s cell phone. UniTel Voice’s virtual numbers are designed to help your business sound professional and stay connected, making it perfect for startups because you get all the power of a professional business phone system without the hassle of telecom equipment. In other words, you can run your business using cell phones and sound like a Fortune 500 company. Since virtual numbers are hosted in the cloud, you can manage them completely online. Need to make a change to your call forwarding, greetings, extensions or voicemail, just login make your change online in real time. That’s the beauty of a cloud-based business phone system like UniTel Voice. If you’re a busy startup with limited time, money and personnel – you can’t always answer customer calls. That’s where UniTel Voice comes in. Even if you are a one-woman show or an on-the-go mompreneur, with UniTel Voice you’ll never miss a call because even if you aren’t available to talk, the UniTel Voice virtual receptionist can answer the call and take a message. That way your customers have a good experience and you stay organized for customer follow ups. When customer’s call your virtual number they can be greeted with a professional branded message. For example if you called Comcast Xfinity you would here the greeting “Thank you for calling Xfinity – THE FUTURE OF AWESOME”. Now your startup can sound just as fancy as big businesses do and reinforce your brand every time your customers call. Setting up a professional business phone system doesn’t have to be expensive. With UniTel Voice, a virtual number comes with all the business phone system features you need. There’s no cost to get set up, no hardware to purchase and no software to buy. You can sign up instantly for a month-to-month plan for less than $10 as your call volume changes, you can upgrade or downgrade between your monthly plans to keep costs low. UniTel Voice allows you to call forward your number to any phone (home, office, cell, landline or VoIP), extension, greeting or voicemail. You can login and make call forwarding changes instantly, anytime. With UniTel Voice you can track traffic on multiple phone numbers to compare which lines get the most calls. This is great for tracking marketing ROI when you use a separate number for each advertising channel. For example you could compare the call volume you get from your online ads to the call volume you get from your radio ads to determine where to spend more marketing dollars. With UniTel Voice, your virtual local number doubles as an efax line. People can call your number or fax it. When faxes come in you receive them as PDF email attachments. And you can send faxes via your local number anytime by simple logging into your account – no need for a fax machine. With UniTel Voice, you can retrieve your email three different ways. You can login to your UniTel Voice account and check your inbox, check your message on your smart phone app, or simple check your regular email inbox as a copy of your voicemails will be sent there as well. UniTel Voice allows you to set up time of day routing and afterhours greetings. You can route calls to your day staff and then when the nightshift takes over, your system can automatically route calls to them. Don’t have a night staff? No problem – just set up an afterhours greeting. That way, when you are closed or on vacation your customers hear an appropriate/professional greeting and have the opportunity to leave you a voicemail for follow up. Where ever you go, your UniTel Voice virtual number can follow you. For example it can ring your office phone, then your home, then your cell before it is greeted by a voicemail. Giving you the best opportunity to answer the call wherever you are. Already have an established phone number? No problem. You can transfer your existing local number or 800 number to UniTel Voice and turn it into a virtual office phone system with everything you need to run your business from anywhere. There’s no porting or transfer fees either. With UniTel Voice you own your phone number – no strings attached. If for any reason you would like to take your virtual phone number to another provider, that’s no problem. You can port it away from UniTel Voice at any time with no cancelation fees or sneaky terms and conditions locking you in. UniTel Voice allows you to project a local presence anywhere in North America using a virtual phone number with the local area code of your choice. Find a list below of 100 cities where you can get a local number with the local area code of your choice. Note: This is not a complete list of the available local phone numbers UniTel Voice offers as we continuously add new local area codes to our inventory. 1. Is virtual phone number service expensive? Nope. You can get a virtual phone number loaded with professional phone system features from UniTel Voice for less than $10 per month. 2. Can anyone in North America call a virtual local number? Yep. Works like any other phone number. 3. Can people outside of North America call a local virtual number? Yes they could. Could apply to the caller but not your account with UniTel Voice. 4. Can you call forward a local number to a phone outside of the US? Yes, however international rates may apply. 5. If I purchase a local DID number from UniTel Voice do I own it? Yes. You own your local virtual phone number and can port it away from UniTel Voice at any time. 6. Can I transfer my existing local number to UniTel Voice? Yes, you can port your current local number to UniTel Voice and use it as your UniTel Voice number. 7. How much does it cost to add additional local numbers to my UniTel Voice account? You can add additional toll free or local numbers to your account for $4.99/month per number. 8. Can I call forward my local business number to my cell phone? Yes, you can call forward your number to any phone, extension, or voicemail and make changes to your call forwarding anytime. 9. How are local phone number minutes billed? Your account is billed in 6 second increments unless you’re using the unlimited plan. 10. Why is it so hard to find a local vanity number?? Available local numbers are not housed in a centralized national database like 1-800 numbers are – so you can search all available toll free numbers at one time. Unfortunately, local numbers are simply batched out to phone companies so it’s really hard to find a local vanity number. When it comes to vanity phone numbers your best bet is to get a toll free number. You probably dial telephone number area codes every day, but have you ever stopped to think about the history behind local area codes? When, why, how, and who first introduced area codes? When did we start using them? Why do telephone numbers need area codes? How did you end up with a particular local number? Why do they use 555 area codes in the movies? Are there any local numbers so coveted that they would sell for one million dollars? This fun infographic below tackles these quandaries and more in a collection of interesting facts about local number area codes that might BLOW YOUR MIND!